For the past 6 years I have wandered into the artistic landscape that The Do Lab presents at Coachella. Their annual stage setup always looked dazzling and it hosted the chillest vibes, this made me crave more. 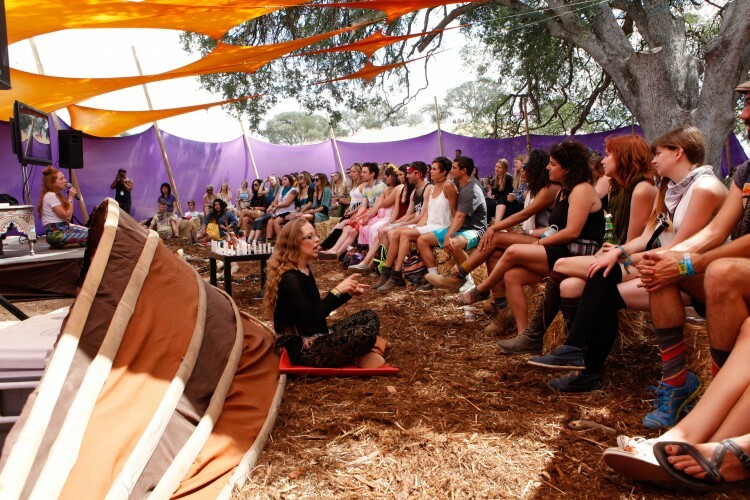 Finally I decided that enough was enough leading me to make a trip out to their Lightning In A Bottle music festival. What I discovered throughout this weekend was an energy different than any festival around, making me develop a much deeper appreciation for music and life. Our journey began with a five hour drive up to Bradley California, where we arrived at Lake San Antonio, a now dried up terrain where The Do Lab chose to host their getaway. Right off the bat we loved how the festival stages were interconnected with the camp grounds, allowing for easy access around the venue. Although the main musical acts had not begun on Thursday, much of the other festival activities were in full force. These included thought-provoking talks, spirituality workshops, yoga sessions, and family-friendly activities. Friday began with a hike up to the mediation lookout, a peaceful destination that offered a panoramic vantage point to get namaste AF. We were lucky enough to run into a Quantum Hypnosis session from Anna Maria Panici, a professional manifestation coach. This group hypnosis session helped us to release the burdens of our past in order to live the life that we want. This was all put to the test throughout the rest of the weekend as I made the effort to forget about the outside world in order to soak into the reality of LIB. By nightfall we were able to find warmth with the dome art gallery, a structure that showcased the psychedelic work of graphic design artist Android Jones. After catching a phenomenal set by SBTRKT and Sampha, we headed back to our side of the campground. 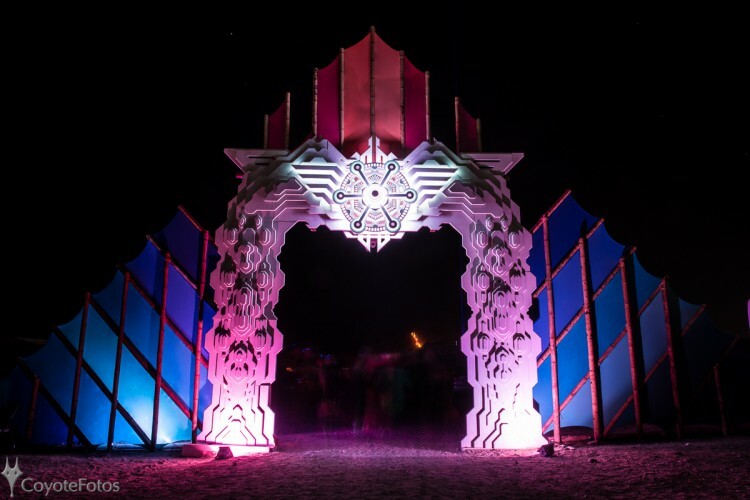 The entrance was marked by a huge neon emblem, a tribal like image placed among fortress like walls. Every time we passed this structure it reminded us of the savage habitat we would be coming home to each night. The next thing we know its 8AM and we’re following the rumble of glitchy bass music to a neighboring campsite who go by the name of Headtron. This kind of atmosphere looks like it came straight out of Burning Man, with carpets along the floor and beds on every side. To some, this is their home and they are trying to get some sleep, but to us its the next party destination. That’s when it hit me. 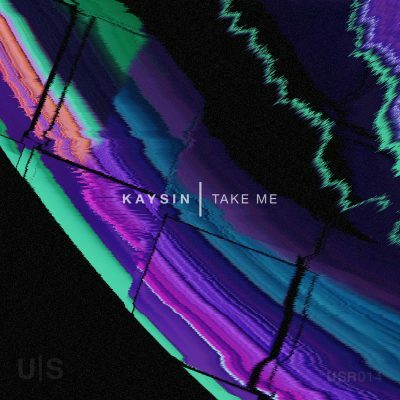 As a music lover I’ve visited all of the massive festivals around the west coast and have attended some of the biggest shows in Los Angeles, and although these environments are inspiring, I have yet to discover the purest form of dance music. At this campsite there was no bottle service, no egocentric DJs, and best of all no judgement. Simply the sounds of good music in a home full of strangers. This energy felt more inspiring than any form of live musical entertainment that I have yet to experience. 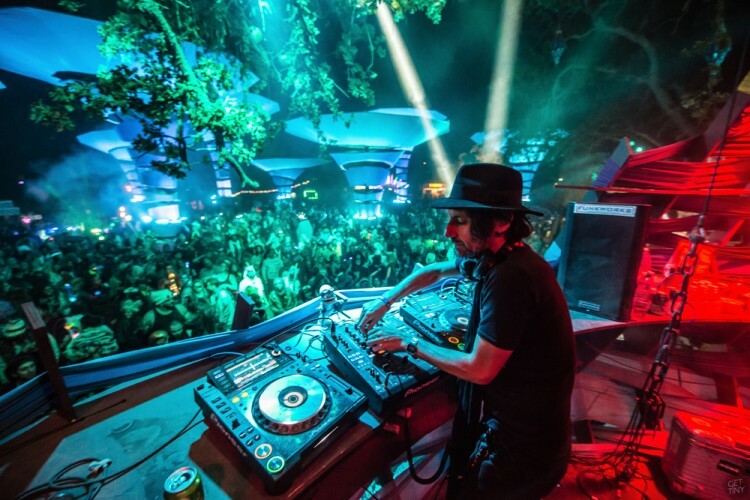 Later in the day the sun came down to the grimey sounds of G Jones. We chose to enjoy the music from the side of the stage. At this spot we were able to soak in the mighty sun as it slowly crept behind the mountains, shining a gentle light across the green lakebed. Nature became a consistent theme throughout Lightning In A Bottle and we never hesitated to stop and appreciate how beautiful it could be. After crossing several bridges and hiking up an incredibly steep hill we found the island-like setting that was home to The Woogie. 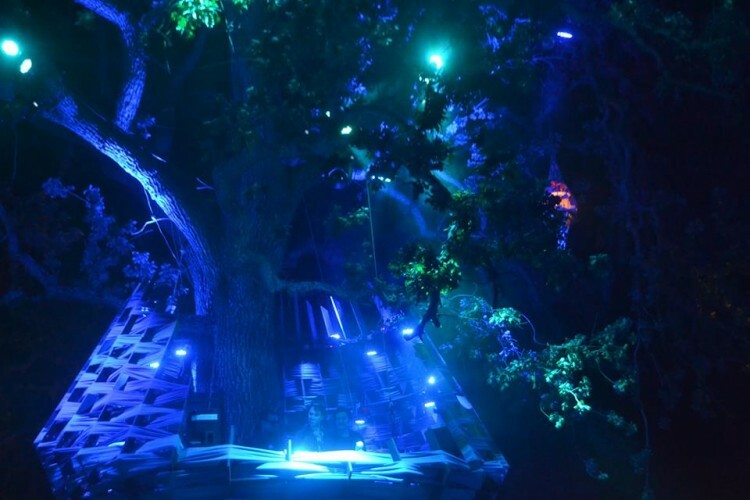 The actual stage itself was parked around a giant tree with a vast view of the surrounding festival. 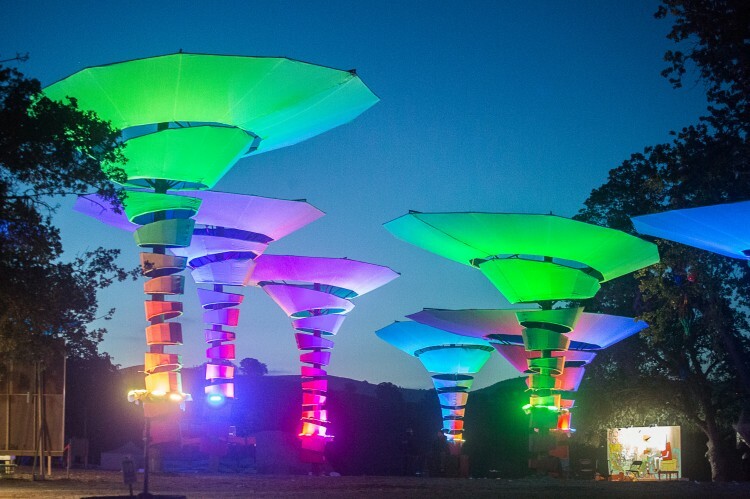 Throughout the dance floor lay huge art structures that would glow in bright colors along to the music. After being hypnotized in the exotic rhythms of Lee Curtis I found myself gazing at the sky which had now infused with the surrounding colors. The sky was now in sync with the music creating a perfect connection between mind, body, and nature. 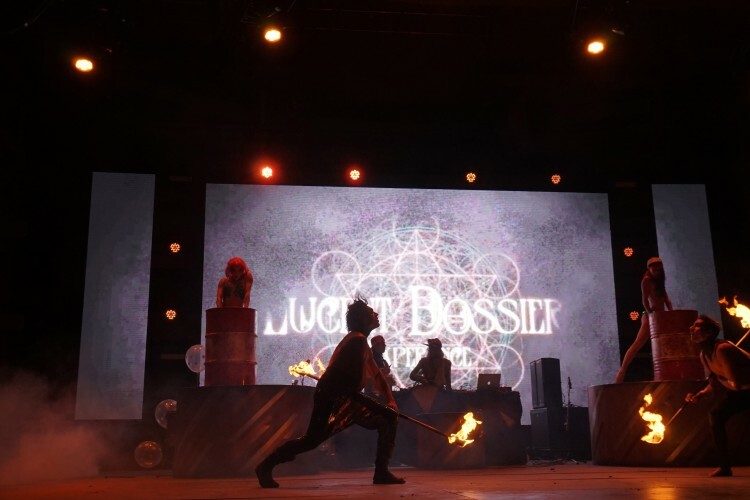 Following a ridiculously funky live disco set from Goldroom was a performance by the Lucent Dossier Experience. 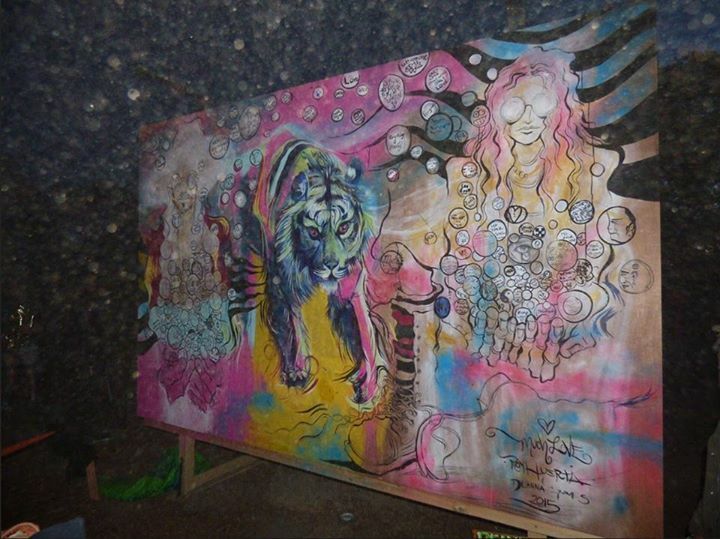 This freaky art project is a resident to the festival as well as a favorite to veterans of LIB. Their pyrotechnic acrobatics and fusions of psychedelic music genres easily became one of the most terrifying sets of the weekend. 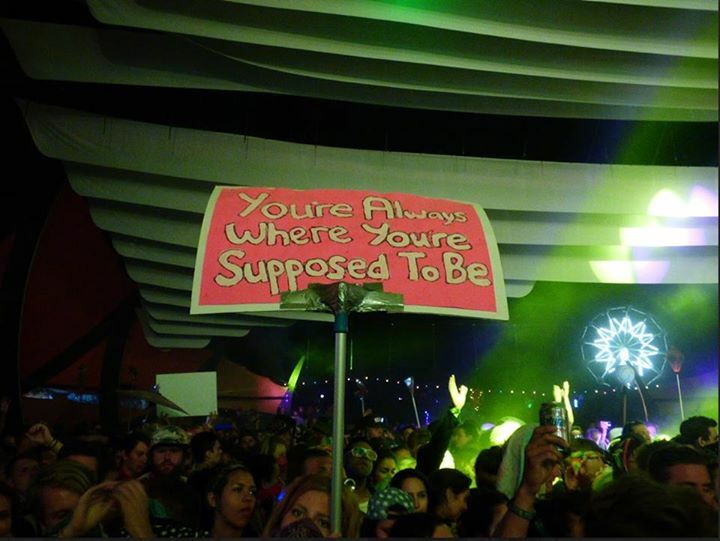 At this point we could not help but appreciate the environmental awareness efforts that Lightning In A Bottle enforced throughout the weekend. There was hardly any trash cans around the grounds yet by the last day it was almost impossible to find litter. 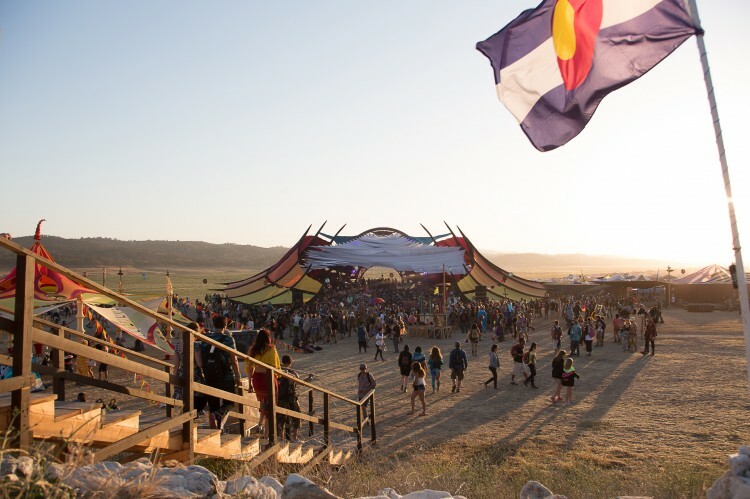 LIB’s devotion to leaving no trace could be seen throughout their vendors, staff, and thousands of attendees. 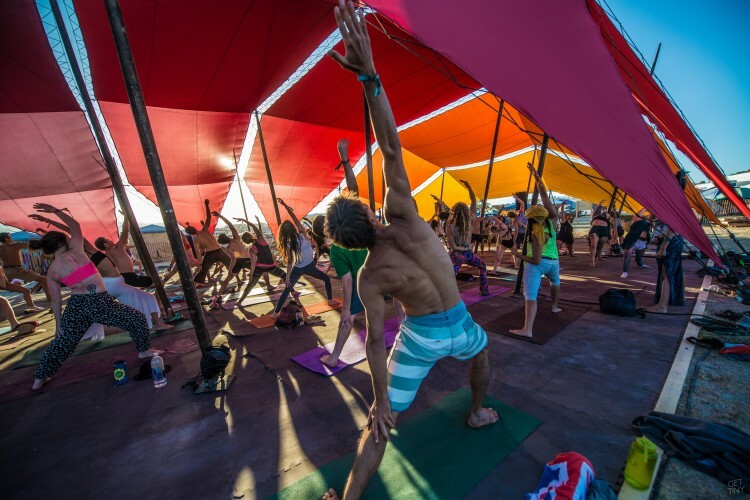 For the past four years they have been able to hold the title for the greenest festival in the U.S. and it was a real wake up call to see how possible it is to live this way. Their efforts left an impact on those who were new to environmentalism and we hope that more festivals will follow in their Earth-friendly ways. 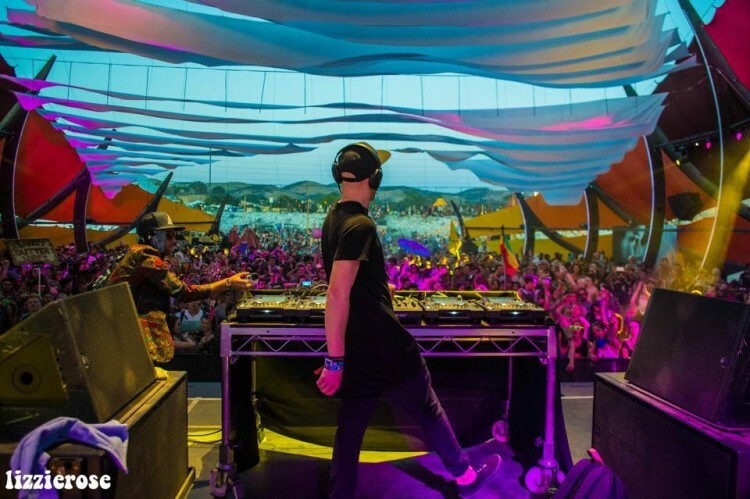 Later in the afternoon we visited Big Wild as he performed a tropical bass set under the misty Thunder Stage. We really had no urge to leave this spot since his set was followed by Stwo, Snakehips, and SNBRN. Finally Hermitude hit the stage performing for their first time at a North American music festival. Their ability to blend live performance with gritty Australian hip hop beats made it a truly memorable set. 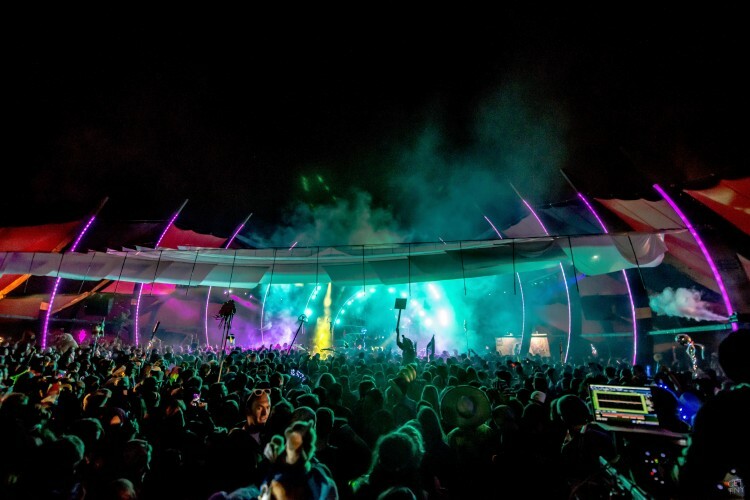 Eventually we headed back to The Woogie to catch Dirtybird funkmaster Shiba San. This led us to the main stage for Panda Bear, 1/4th of Animal Collective. 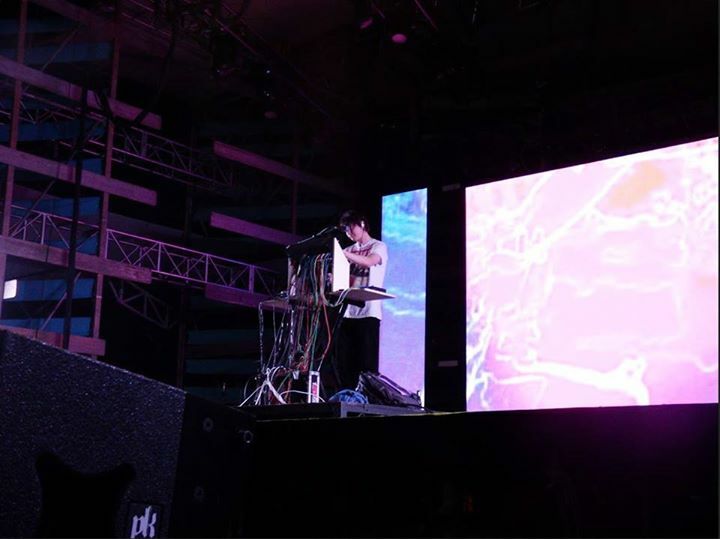 His solo set contained some of the most mind melting visuals and noises we had heard all weekend. Being able to experience something so experimental on the main stage was a real treat for those that can appreciate the extremes of music. 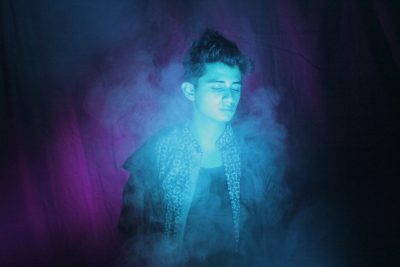 Next up we headed to catch Les Sins, a side project of Toro Y Moi. His debut album Michael dropped in the Fall showcasing a groovier side to Chaz’s typical psych pop. Les Sins performed a full on house set on CDJs bringing down the party with a collection of originals and underground favorites. Alas! Our lord and savior hit the stage, appearing through an ocean of fog. The glorious sounds of RL Grime could be heard from a far as he tore apart everything that we believed in or could ever dream of. After an entire weekend of “different” styles of electronic music it was extremely satisfying to end it off with a set of full on trap music. 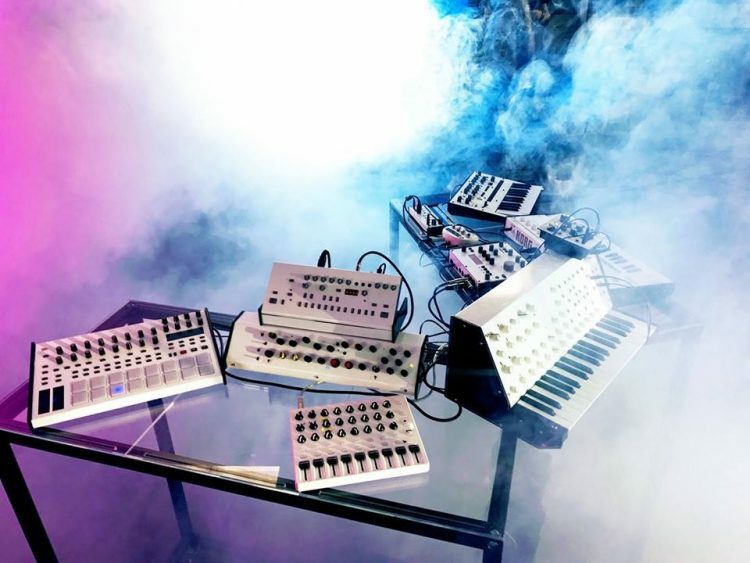 Tracks from his latest VOID Remixes album put a unique spin on his performance, making for a more unpredictably cohesive flow of concepts. After witnessing the madness in that stage I now make sure to pray to RL Grime every night before I go to sleep. 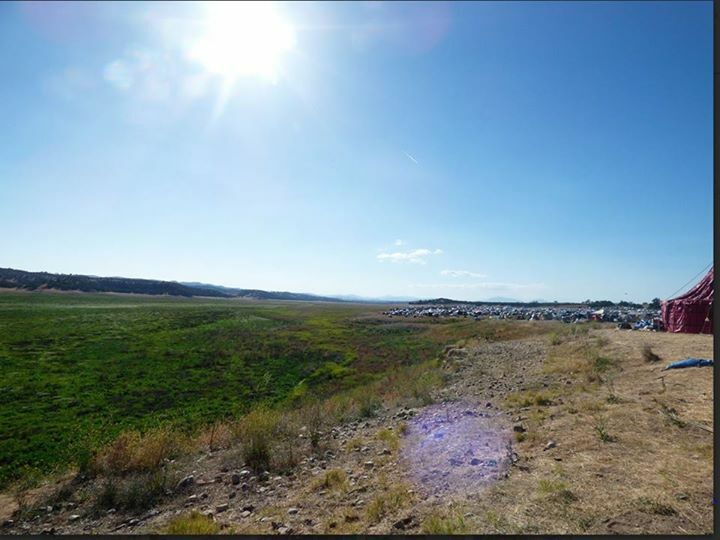 People have been asking me the same question all week: “How was Lightning In A Bottle?” Unfortunately there wasn’t anything specific that can summarize what went down in that dried up lake. What I experienced at LIB was simply an energy. Something so positive and surreal that I was able to trust its guidance into places unknown. This spirit made me overcome moments of fear strengthening my character with each rising sun. Love could be felt with every person I met, passion could be heard in every performing act, and a sense of unity and belonging rested in every inch of the festival. Lightning In A Bottle was nothing short of beautiful and I would recommend it to anyone looking to expand beyond the general music festival experience.